When it comes to family law matters, experience can make the difference. Choose Myers Family Law today. Our family lawyers specialize in family law and divorce matters and work to get results in the most non-contentious manner possible. Get the insightful advice and experienced representation you deserve. Take the first step by contacting our offices now. 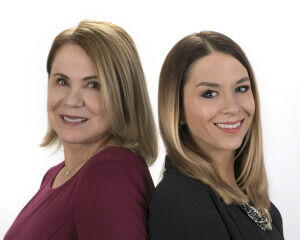 As one of the leading law firms in the Placer County and Sacramento areas, clients come to Myers Family Law when they are in need of qualified, experienced, and specialized legal representation for their family law and divorce matters. Our Granite Bay family lawyers have more than 25 years of legal experience and specialize in handling divorce, legal separations, child custody, child support, and divorce mediation. We are also one of the few law firms in the area that can effectively handle and prepare division of retirement cases. Our firm genuinely cares about your interests as well as your family’s future. 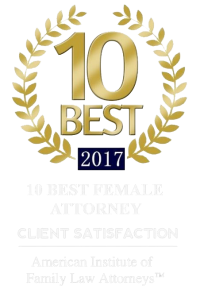 Sandra Myers specializes in high conflict divorce and custody matters and is experienced in dealing with litigants with personality disorders, including Borderline Personality Disorder and Narcissistic Personality Disorder. As recognized legal experts in the area of family law and divorce mediation, we possess the skill and experience needed to help you move forward to a new, brighter chapter of life. Speak with a Rocklin family lawyer today. Call Myers Family Law at (916) 634-0067 for a low-cost 30-min. consultation with a Placer County family law attorney. We proudly offer low-cost 30-minute consultations. Get started by calling us at (916) 634-0067 or by filling out the following form. Someone from our firm will reach out to you shortly. Our firm takes great pride in handling family law and divorce matters in the most amicable, non-contentious, and cost-conscious manner possible. We know that divorce can be incredibly difficult for every member of the family, and the overwhelming emotions or stress very rarely only affects the separating couple. Young children deserve to have their best interests protected and our firm can be trusted to guide your steps in a way that honors your family’s unique dynamics and values. If you are concerned about how to move forward in your case, or if you have questions about your rights and options, a Placer County family lawyer from our firm is here help. Speak with us today and one of our lawyers can help equip you with the knowledge and resources needed to start taking charge of your particular situation. We specialize in helping separating couples and their families reach reasonable, peaceful resolutions while in the face of legal crisis.